A romantic photo shoot with Hana and Mirza from Singapore. Hana contacted me by e-mail to see if I was available to photograph them during their holiday. Hana had a lot of questions for me which is normal. We had never met each other before and she didn’t know what to expect. 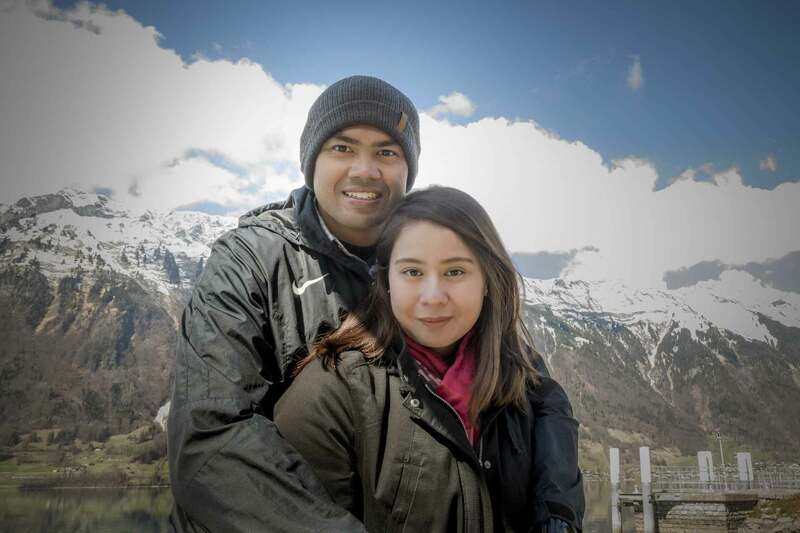 She chose the two location package with a mountain and a lake. 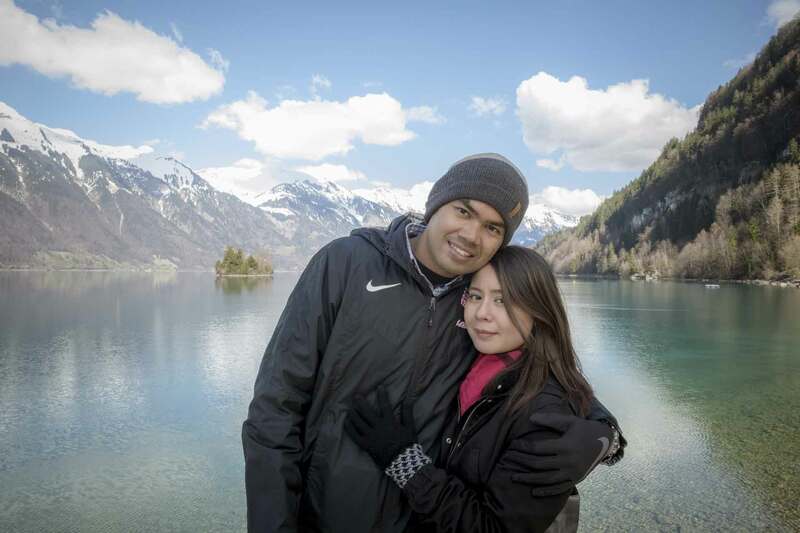 We met in the middle of the day by Interlaken West railway station. Using my car, we headed for the mountain location. I was a little concerned about the position of the sun and had a screen reflector in the car. I also had a powerful portable studio lamp. There was snow on the mountain top and it was very slippery. But we survived. Hana and Mirza loved being photographed wearing their sunglasses. It was a 20 minute drive to the lake and beginning to turn cold. The temperature in Singapore was over 30 centigrade and humid. 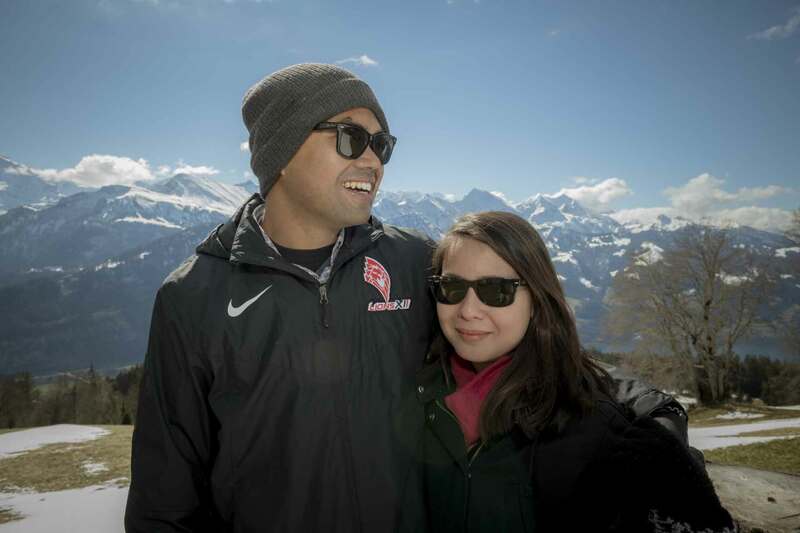 It made sense for Mirza and Hana to take a holiday in a colder climate like Switzerland. Arriving late by the lake meant the dock was not occupied. On warm days, couples lay on the dock in the sunshine like the sea lions by Pier 39 in San Francisco. The location of the sun was a problem and I was grateful for my my equipment and no wind. A couple photo shoot with a very nice couple from Singapore. Thanks guys!